People often feel trapped by their choices, situations, and feelings, brought about by past hurts. Life is difficult and everyone has emotional wounds. Their wounds can affect adults in chronic and painful ways, with problems ranging from jobs and relationships to self-esteem and decision-making. Ways of coping that enabled people to survive when there were no choices no longer serve them, and they might not understand why they keep getting "stuck” with repeating issues. When we have difficulties in the present, we bring our whole self, our strengths and our emotional hurts, with us. For this reason, I believe that whatever brings people into therapy, they all have a life history that must be heard and respected to understand who they are today. 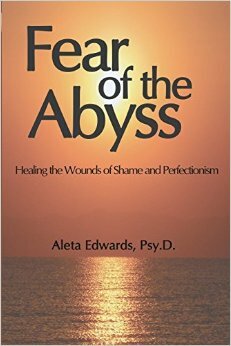 Many instances of anxiety and depression, as well as a host of other painful issues, are rooted in shame and perfectionism, which are two of my special interests and the topic of my best-selling book, Fear of the Abyss, available both in paperback and as an ebook.